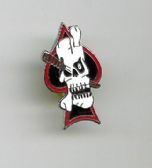 You are Purchasing a Ace of Spades Death Card Lapel Pin. The size of the Lapel Pin is approx 30mm x 15mm. 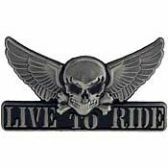 This is a really nice lapel pin. It is secured by a pin and butterfly clip. Would make a great gift. This item is made in the United States of America. 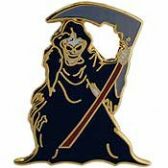 You are Purchasing a Grim Reaper Warrior Lapel Pin. 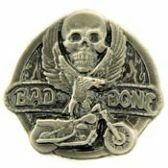 The size of the Lapel Pin is approx 20mm x 25mm. This is a really nice lapel pin. It is secured by a pin and butterfly clip. Would make a great gift. This item is made in the United States of America. 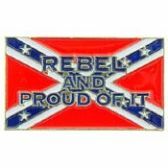 You are Purchasing a Rebal and Proud of it Lapel Pin. 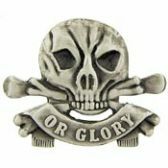 The size of the Lapel Pin is approx 15mm x 25mm. This is a really nice lapel pin. It is secured by a pin and butterfly clip. Would make a great gift. This item is made in the United States of America. 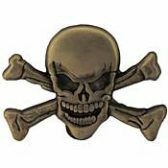 You are Purchasing a Rebal Skull Lapel Pin. 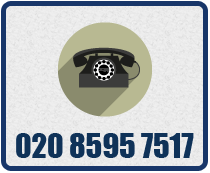 The size of the Lapel Pin is approx 20mm x 25mm. 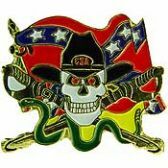 This is a really nice lapel pin. It is secured by a pin and butterfly clip. Would make a great gift. This item is made in the United States of America.